THE neutral observer could be forgiven for believing Ajax Amsterdam had already enjoyed their moment in the sun with their spectacular victory against Real Madrid. Underdogs rarely have more than one day and when up against a team that includes the UEFA Champions League’s resident expert, Cristiano Ronaldo, it would be easy to assume that Juventus would march comfortably through to the semi-finals. Ahead of the game in Turin, commentators and pundits kept talking-up Ajax’s young team. Part of this was a little bit of kidology, but the other element of this constant promotion of a squad largely honed at Jong Ajax was the need to convince the watching public this tie was not a foregone conclusion. 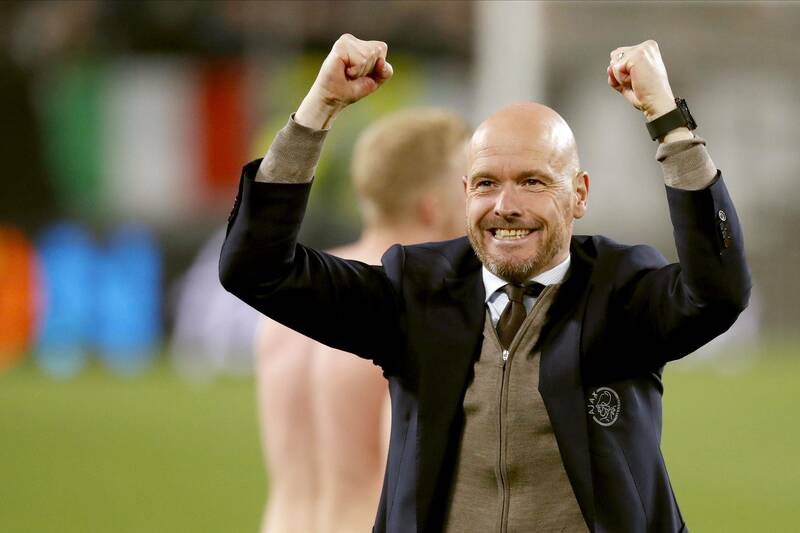 It wasn’t and the “experts” were right, this Ajax team is exciting, refreshing and restores one’s faith in the possibility that competitions like the Champions League can still conjure-up football’s forgotten alchemy, the element of surprise. The Juve crowd was expecting an evening tailor-made for Ronaldo, rather like his virtuoso performance in the last 16 when he single-handedly turned around a two-goal deficit against Atletico Madrid to maintain his phenomenal record in the competition. On 28 minutes, Ronaldo took advantage of the Ajax defence’s lack of spatial awareness and flexed those powerful neck muscles to nod home a corner. The temptation to suggest the game was over, or at least the slippery slope had been introduced to Ajax’s youngsters, was obviously there, but six minutes later, the impressive Donny van de Beek received the ball inside the area and shot low past Wojciech Szczęsny to level the scores. There was a VAR check, one of many, but the goal stood and there was a hint of indignation about Juve – how dare Ajax respond. By now, Juventus and the crowd realised that this Ajax side, most of which will break-up as the club monetises its youth policy, was not going to sit back. Van de Beek saw his powerful shot saved early in the second half and David Neres and Hakim Ziyech, the latter having an excellent game, made the Juventus defence look lumbering and uncertain. The longer the game went on, Ajax’s confidence and ebullient style left Juve struggling to stay level. Miralem Pjanić denied Ziyech when he cut-out a low ball that sped across goal and then hesitant Ziyech wasted an opportunity to give Ajax the lead. In the 67thminute, Ajax did finally go ahead when their 19 year-old skipper, the fresh-faced and fearless Matthijs de Ligt, powerfully headed home a corner. This created Alpine task for the Italian side, who now needed to score twice to go through. Still, with Ronaldo in the line-up, nothing could be ruled out. But Ajax kept coming and had a third goal from Ziyech cancelled out by an offside decision. Anyone expecting a cavalry charge comeback from Juve was disappointed, for Ajax looked in control and made Ronaldo and his team-mates look decidedly second best. In some ways, it felt like you were witnessing the turning of the tide, perhaps the last chance this particular Juve side had of realising their dream of winning the competition. And so, the final whistle and a sense of mild disbelief among the locals. The hard work was supposed to have been done in Amsterdam. That was the script, one that Erik Ten Hag’s team refused to read. Ajax’s slick, free-flowing team, schooled in Cruyffian principles and drawing on a European heritage that had been pushed into the shadows by the creation of a new European elite, may have pulled the shutters down on the Champions League reign of a certain Portuguese gentleman. Most importantly, these young players also relit the fire that has burned intermittedly since the early 1970s. What next for this wonderful Ajax side? Two years ago, they lost in the Europa League final in Stockholm to Manchester United. Eight of the squad that played in that game were involved against Juventus. Consider that on the same night, United were beaten out of sight by Barcelona, while Ajax were seducing Europe with a memorable display that confounded the form book. Frenkie de Jong has already agreed to move to Barcelona for € 75 million and others like Donny van de Beek and Matthijs de Ligt are being courted by big clubs, notably the London trio of Arsenal, Chelsea and Tottenham. Apparently, there are others whose names will become household in the coming years, which is good news not just for Ajax, but also the national team. Ajax is a club that develops players and sells them – it is an essential part of their business model. Therefore, the 2018-19 season is probably their only chance of winning the UEFA Champions League with this line-up. Would it not be marvellous if they could achieve the greatest prize with a team that has largely been developed at home, in the shadow of the Johan Cruyff Arena? What would it do for European football? Put simply, it would demonstrate to every club that lives outside the top bracket that it can be done, that players can be nurtured, even if you can only covet them for so long before balancing the books. 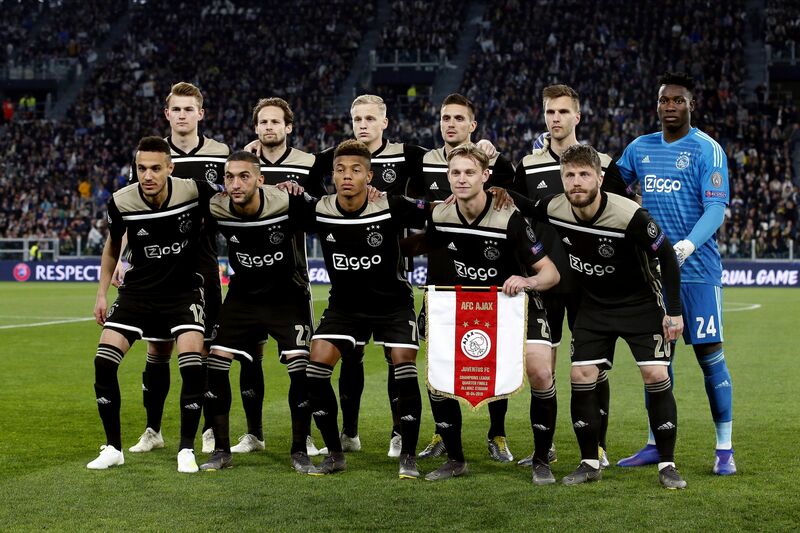 It requires patience, focus, a bit of foresight and, ultimately, acceptance that there will be lean spells, but if young players can see there is a pathway to grow and become better professionals, then surely Ajax’s success this season provides a beacon of hope that football is, despite the hubris and ego, more than just the property of a handful of large, asset gathering clubs. It would be good to say, “long may it continue”, but the cherry-pickers are already heading for Amsterdam. Meanwhile, Ajax are in a position to complete a treble, as they did in 1972. They await their semi-final opponents in the Champions League, they are top of the Eredivisie and they face Willem II in the KNVB Cup final. What a way for a young and vibrant team, albeit bound for the open market, to end this stage of its career! Previous Entry Should we just embrace football’s new industrial age?